Wow, time sure does fly by. This fact applies to this post in two ways. 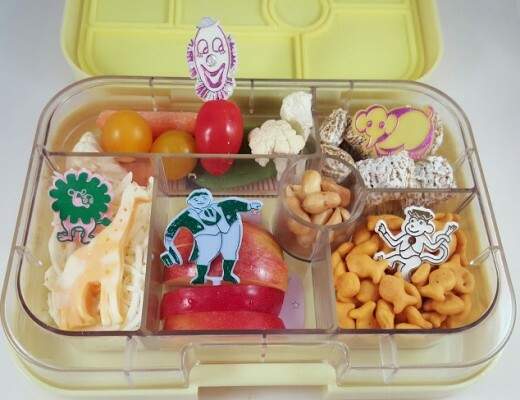 One, the days fly by and I do not post to this blog as often as I would like despite the fact that I pack several lunches daily and have a massive backlog of bento photos. 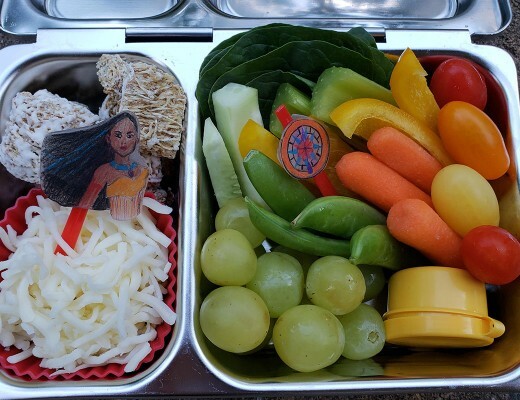 And, two, the lunches in this post were packed months ago when our upcoming trip seemed far away time-wise. Now, the days have passed quickly and the date for the trip is coming near. 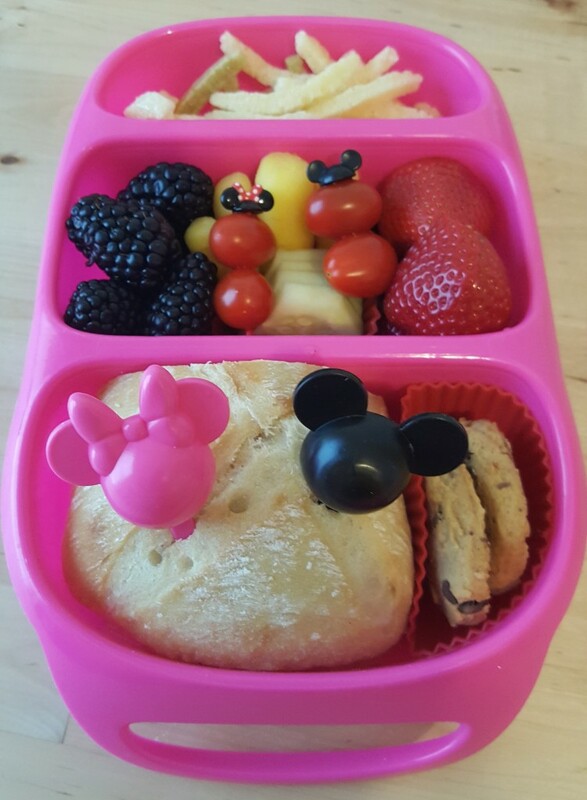 To celebrate, I plan to share some Disney-themed meals over the coming weeks, beginning with the two lunches packed for work shown here in this post. First, is a lunch for me and tthe second was for my husband. Both are packed in Goodbyn Bynto boxes. Both lunches included veggie straws, blackberries, strawberries, carrots, cucumbers, tomatoes, turkey sandwich, and chocolate chip cookies. 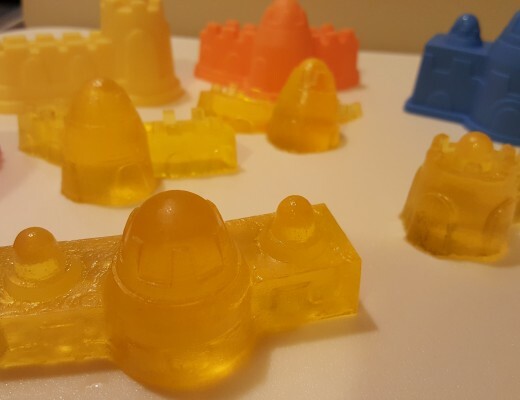 I included some of my favorite Disney picks, including some very special ones I got from Tokyo Disney Resort and some simple Mickey and Minnie cupcake picks. 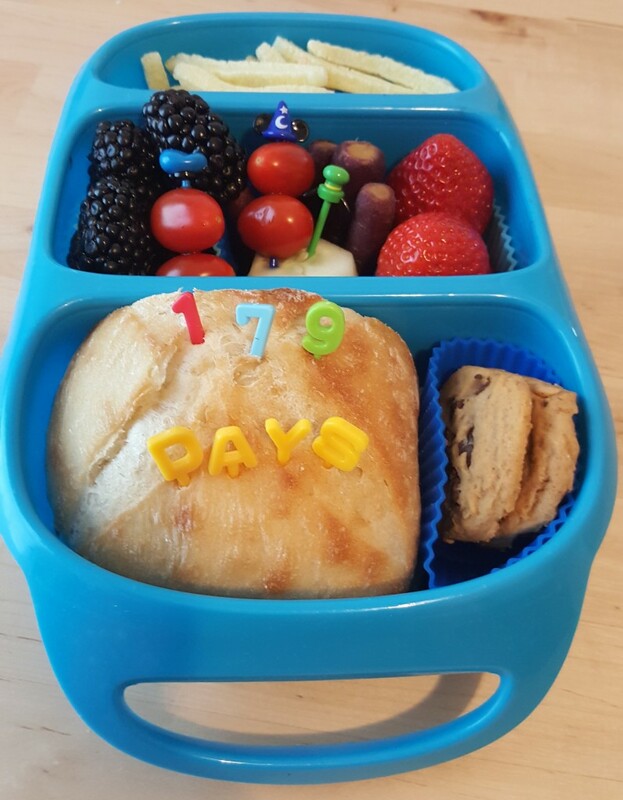 In my husband’s lunch, I included number picks that marked the number of days remaining to our trip. Since time flies, this number has decreased dramatically. In fact, we have a rather short countdown chain to keep track of the remaining days.